For those that have active bird feeding stations, requiring bird feeders with a larger capacity, this one will make you very happy. 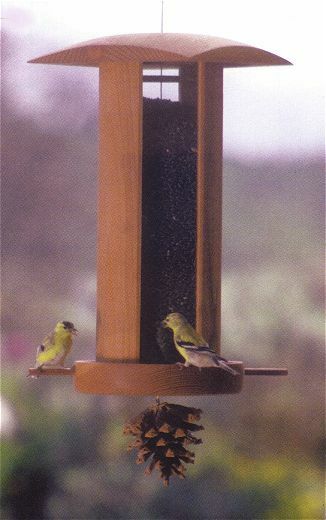 These bird feeders can easily hold a gallon of birdseed. The Songbird Lantern Big and Tall bird feeder weighs six to seven pounds when filled with sunflower seeds. It has the same hand-crafted beauty as our best selling bird feeder, the Songbird Lantern Classic. Weight unloaded: 3 lbs., 6 oz. Weight filled: 6-7 lbs.